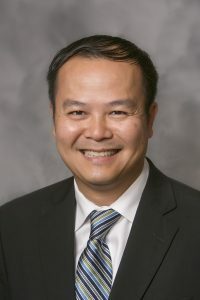 Dr. Phu Truong, the physician who provides oncology/ hematology care to patients at the CCK Independence, will start treating and seeing patients in WMC’s Specialty Clinic on January 28. Dr. Truong’s plans are to see patients in the Neodesha clinic on the second and fourth Thursday of the month. Wilson Medical Center has been providing stat labs and x-rays for the Independence Cancer Center since October when Mercy Hospital closed its doors. “Quality patient care is important to us, so stepping in when help was needed seemed the right thing to do for the Cancer Center,” stated Shelby. The CCK in Neodesha can be reached by calling, 620-325-8353.